Think about how many times a day you are able to turn on a tap to fresh, clean water. How easy it is to fill up a cup from your fridge, a tap, or water cooler. How you are able to wash your clothes, your cars, your hands at any moment. Every single building you walk into, you can get water. Actually, you don’t even have to be indoors to use clean, crisp water. Fresh water is not only a valuable necessity, but easily accessible . . . Except it’s not. Over 5 million children die every year from water related illnesses. That’s about 800 kids a day. Why is it that something we have access to at ANY GIVEN MOMENT WE NEED AND WANT is not available to almost 800 million people in the world? I can’t answer that without getting into a rant about the economic, political, and greedy injustices that have manipulated the spread of resources, but I can tell you one way to help, with Hand in Hand. Hand in Hand is a company, started by married couple Bill and Courtney (#RelationshipGoals or nah? 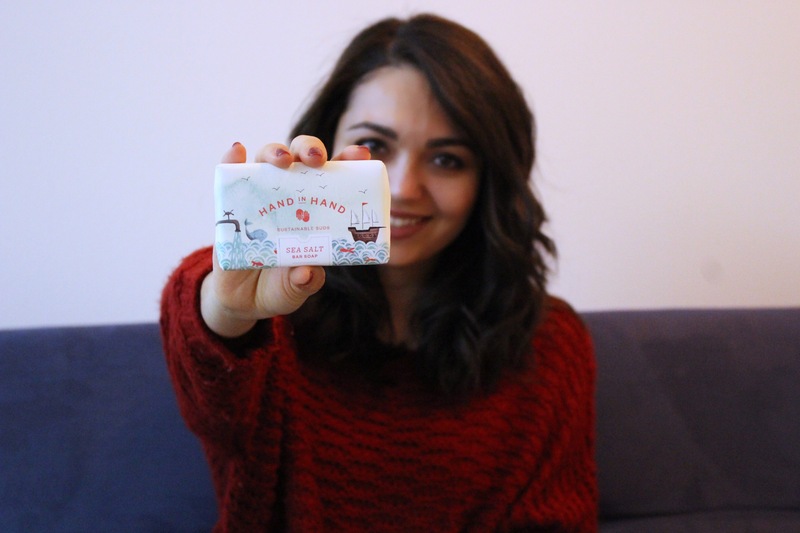 ), with a social mission to provide soap and clean water to children in developing countries. When you buy a bar, you also give a bar. Hand in Hand has been donating to orphanages in Haiti and to date they’ve donated almost one million (!!!) 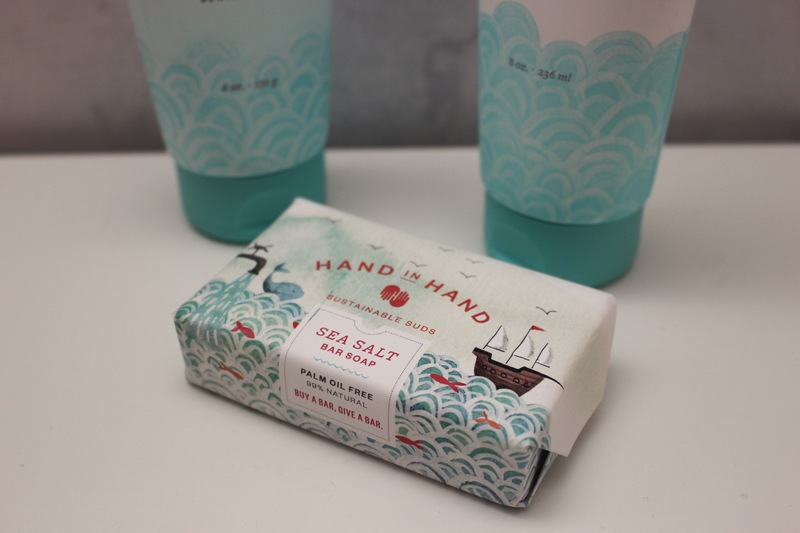 bars of soap and repaired four wells, providing clean water to Haitian communities. It’s not just soaps though! 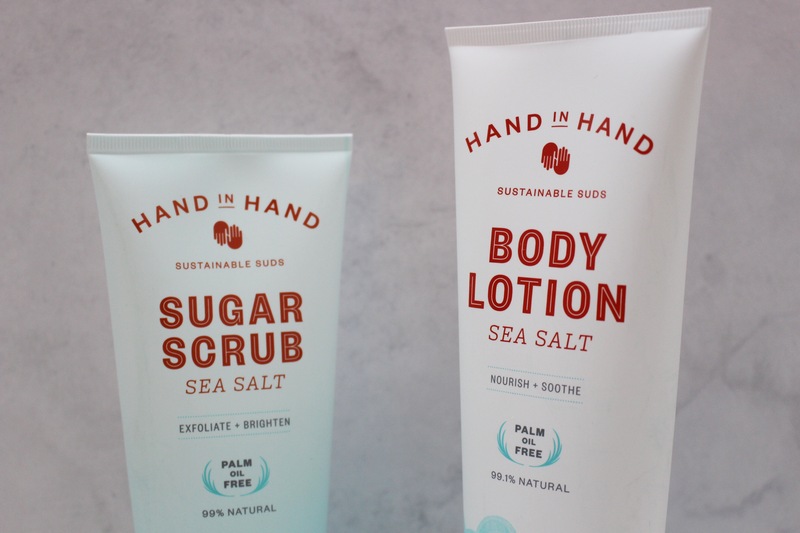 Hand in Hand’s products have expanded into lotions and scrubs too. When I came across Hand in Hand I knew I had to collaborate and feature them on AzArAm. Not only are they a humanitarian based company, but I discovered something even MORE amazing. Every single product is ethically made with organic and fair trade ingredients: 100% vegetable based, vegan, gluten-free, biodegradable, palm-free, cruelty-free, paraben-free and petrochemical-free. Umm, please take all my money now! As we’re all gearing up for the high holiday season and heading out to gift shop, why not consider giving gifts that REALLY give back? All y’alls moms, sisters, aunts, and grandmas love quality soaps and lotions. 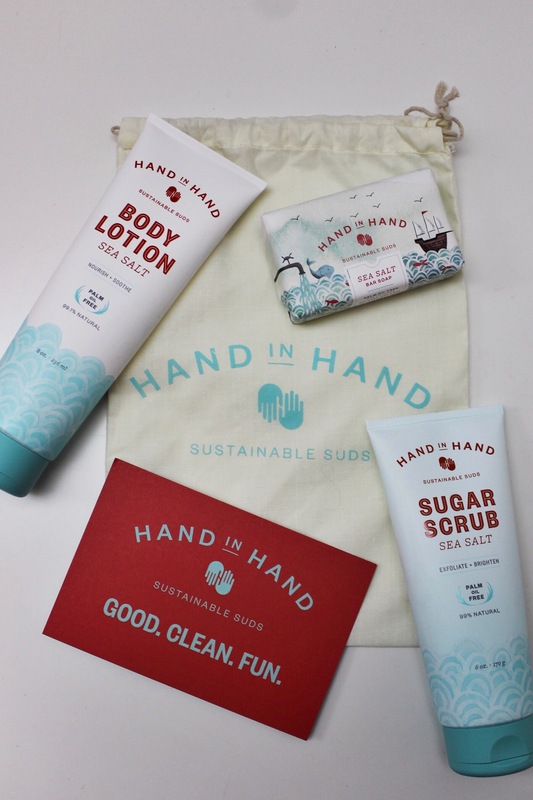 By gifting Hand in Hand products, you’ll be giving products good for the environment without the risk of harsh chemicals AND you can help kids in Haiti! 🙂 You’ll literally be helping the world in multiple ways!!! And what’s better than that? You can purchase holiday gift sets HERE!